This FridayNightRide was deep joy for most of us. I’ll get some photos together. Thanks to Bridget for all the hard work in the research Just under 60 of us in the end but dark clouds because we lost some people. ​​Friday 20 June – Bike Week, longest Friday of the year and SFNR’s 6th birthday! The Ride Curator is Bridget Strong and she has been researching about the Flood so come and get your info at the spot. ​W​e ride out over Walkley down to Malin Bridge, and then climb up through Wisewood, & Wadsley to Worrall to turn towards High Bradfield, where we then ride round the tops above Agden reservoir to take the road towards Strines before we turn and drop down to Bradfield Dale Dyke, the dam that burst soon after it was completed​ in 1864.
and you will also catch the view of Sheffield that will be the first view of Sheffield for the TdF peloton. 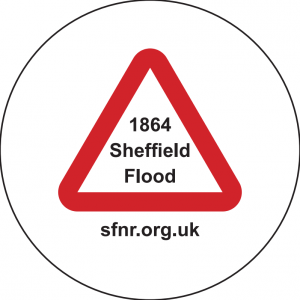 We can check out the memorial plaque and then ride as a torrent of cyclists along the path the floodwaters took down through Low Bradfield, alongside Damflask, through Loxley, then Hillsborough to turn right to follow the Don to Kelham Island where we shall stop. Weather: Bit changeable eh? At the moment showers forecast for this Friday evening. I’ll keep an eye on the forecasts – if it looks v bad then I will call it off by midday on the day. 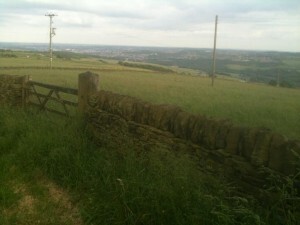 (Barnsley FridayNightRide on the 13th was washed out with rain like monsoons which were forecast v late). Heads up! Just over 20 miles. 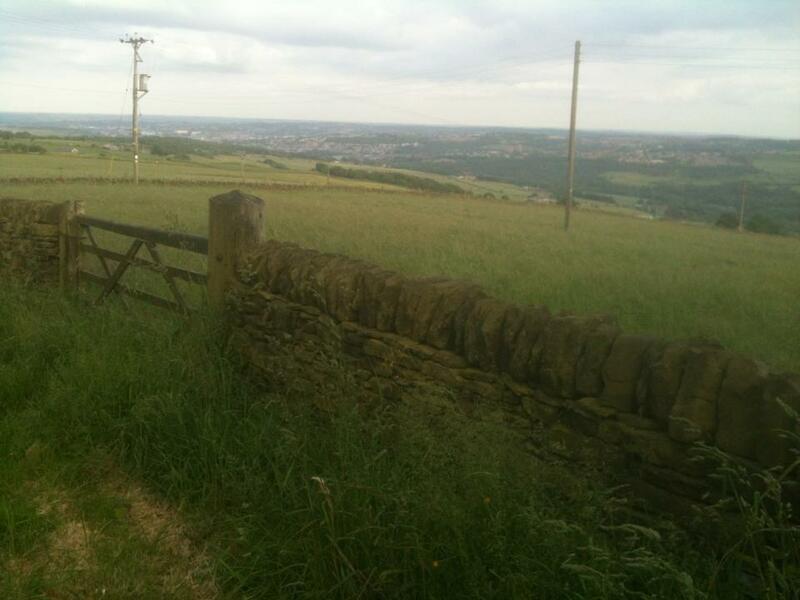 Lot of climbing on this ride but most of it is steady with punctuations of little steeper bits. But the views are fantastic and if we get the curlews out again like on the recce then it really is well worth it. 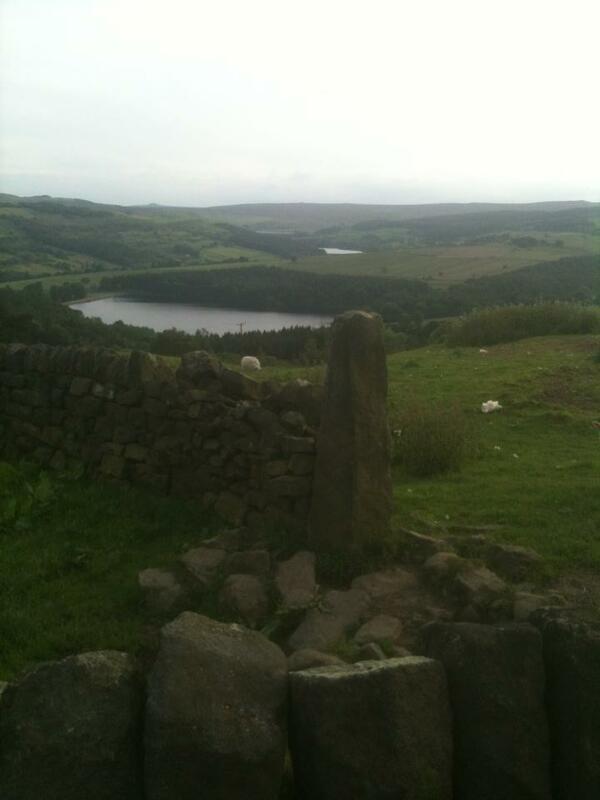 So once at Malin Bridge its a steady climb all the way to Bradfield Cross then a bit of down into High Bradfield and up again and once we start the descent onto Bradfield Dale Dyke its down hill all the way back for the last 9 miles. Some of the roads have been recently “Streets Aheaded” and are fabulous. And some of the roads are not “Streets Aheaded” and are dreadful so warnings will be given. We are in the countryside and riding in the evening; plenty of midges etc so eyeware and riding with yr mouth shut recommended. We won’t be going down Holme Lane (!tramtracks!) but will be using a potential cycle path and then a short cut through one side of the barracks (Morrisons). Bring a spare inner tube, LIGHTS and LOCKS. Refreshments: None planned until we get to The Nags Head (the Bradfield Brewery tap)​ on Loxley Rd (my fave with all beers at £2 per pint). Went in the other night when doing the recce and they will do some bowls of chips for us to go with the beer we drink; I just have to phone/text through how many of us. We may have to pay for them so just get yr money out. Finish at hostelries of yr choice in Kelham Island – I’ll be stopping at the Gardeners Rest in Neepsend, good bike parking and music.